Dangerous weather forecast has forced rescue workers hand and they’ve begun the perilous work of getting the trapped youth soccer team to the surface. Reports say that four of the young boys have been successfully removed from the cave, and they have been whisked away to a local hospital. 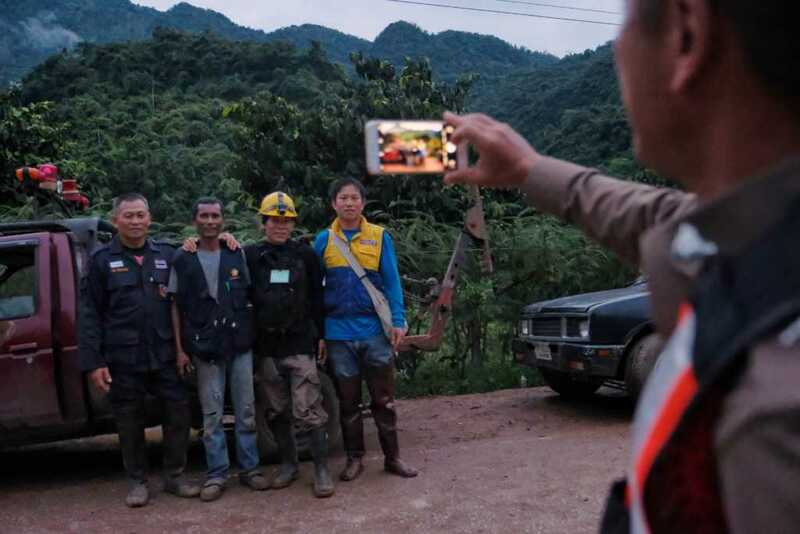 Due to the severity of the escape route, the boys are being guided out of the cave one by one and officials warned the operation could take days to complete, but so far it’s going faster than anticipated. According to the BBC, officials decided to evacuate the boys in the weakest condition first, leaving the rest for later, assuming they’ll be better equipped to handle the trek out even after an extended wait. He added that the boys had all been assessed by a doctor and were “very fit physically and mentally… They are determined and focused”. Millions of people around the globe have been praying for the trapped boys and their coach, and the success of the mission so far is incredibly joyful news. Continue praying as the rest of the boys are guided to safety, as the danger still looms. The path is so treacherous, a seasoned professional died while trying to aid rescue efforts. How are they getting them out? The trip back and forth to the boys takes a mind-boggling 11-hours total, to and from. That’s for the best divers in the world, adept at navigating situations such as these. There’s a combination of walking, climbing, and diving – and there’s absolutely no natural light. The past several days, workers have been rushing to put oxygen tanks and ropes in place along the escape route, to help guide the trapped boys out so they’re not navigating on their own. Each boy will wear a full-face mask and have two divers escorting them out of the cave. The toughest section is about halfway out – at a section called “T-Junction”, which is so tight the divers have to take off their air tanks to get through. Beyond that a cavern – called Chamber 3 – has been turned into a forward base for the divers. There, they can rest before making the last, easier walk out to the entrance. They are expecting to be taken straight to hospital in Chiang Rai town. Continued prayers for a safe recovery!